Hippies swaying from side to side, the smell of pot in the air, people dancing as though no one was watching and blankets full of music lovers eager to hear the next band play. 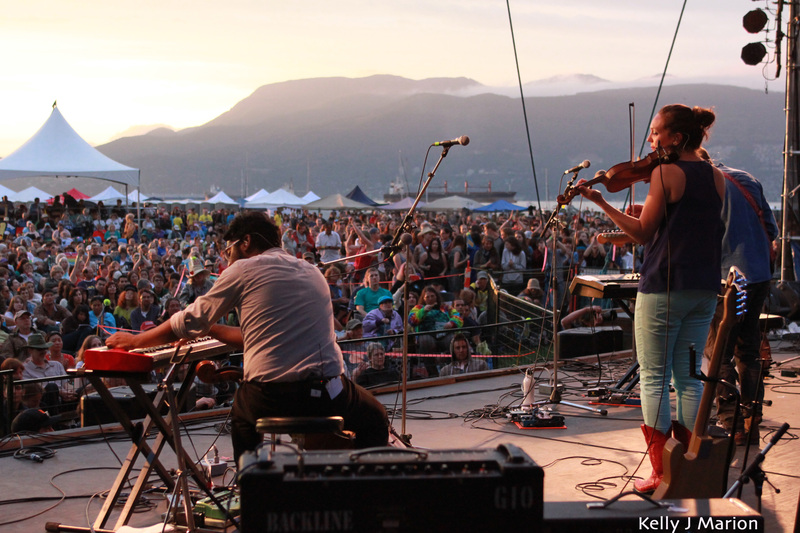 The 35th Annual Vancouver Folk Music Festival was like a scene from Woodstock, as people congregated celebrating love, peace and music. With returning artists like Roy Forbes who performed in 1980 at the Vancouver Folk Fest and Dan Mangan who performed in 2009, combined with artists new to the festival like Wake Owl, the festival showcased artists from all stages of their careers. Roy who is still playing after recently celebrating his 40th anniversary in the industry, also mentors aspiring artists and songwriters but claims that he’s been performing less these days. This wide range of artist experience at the festival, not to mention the discrepancy in age between them, was a large contributor to the demographic of attendees this past weekend which ranged from tots to grannys. 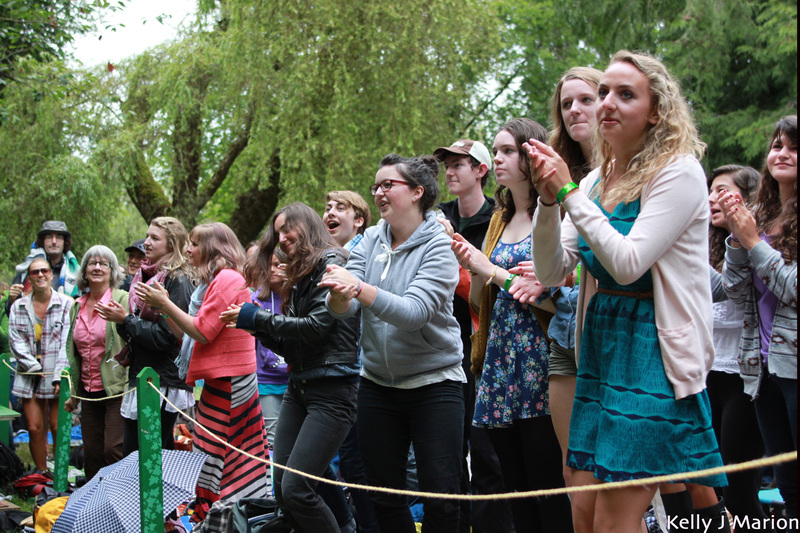 Young and old were there to support the art of folk and the musicians that keep the genre thriving. Juno award winner Serena Ryder belted out “simple love songs” with action words.”Get out of bed you silly sleepy head, your black and white needs a little bit of red.” As beautiful as she is talented Serena put on a fantastic show and had the audience up for a standing ovation at the end. Ani DiFranco, the “Little Folksinger”, approached the stage asking the audience if they wake up every day feeling happy to be here and left the stage with the audience having no doubt in their mind that they are. How could one not be exhilarated after a performance that not only had the audience moving but also encouraged one to re-evaluate how society works and focus on contemporary social issues? She’s notorious for being a feminist and activist through her lyrics covering controversial subjects but doesn’t want to be defined as such as she is a musician first and foremost. When asking fellow Folk Fest attendees what their favorite aspect of the Folk Fest was, I wasn’t surprised to hear that the collective jam sessions and workshops were a hit. 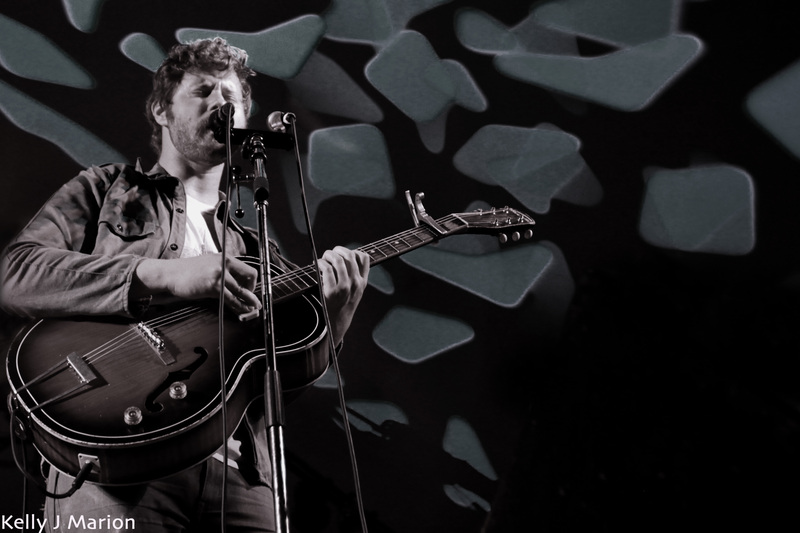 Dan Mangan, Wake Owl, e.s.l. and The Head and the Heart had the audience star-struck as they collaborated in a surreal way that included rapping about being baked, a shirt coming off and a cover of Rocky Raccoon. Blitz the Ambassador was also a favorite and had festival-goers dancing within three minutes of playing and kept them dancing throughout their performance. Although headliners such as K’Naan, Hey Rosetta and Lucinda Williams drew a large crowd and were “must-sees” of the festival, it seemed to be The Johnny Clegg Band who stole the show with his endless energy and his crazy dance moves. 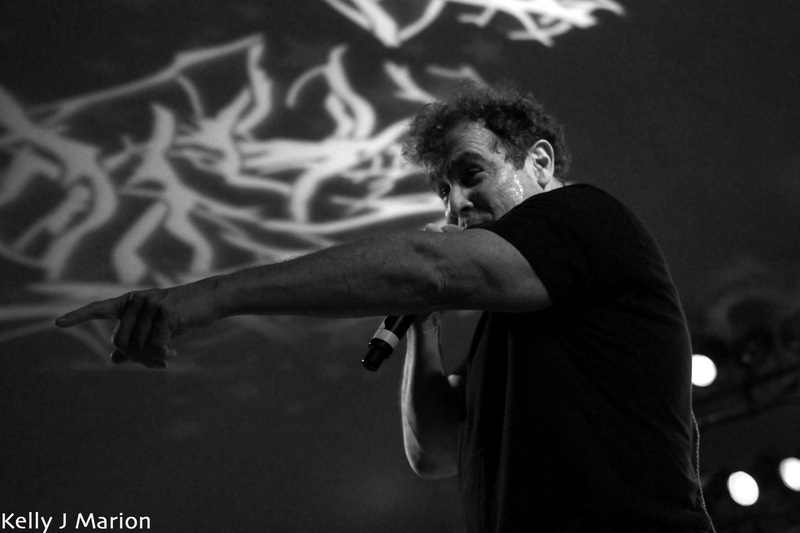 There are musicians, and there are performers; Johnny Clegg is without a doubt an amazing performer. The festival proved to be both multicultural and multilingual as the quirky duo Bette and Wallet sang in French, the sassy Alejandra Robles sang in Spanish and The Johnny Clegg Band sang in Zulu. Like any music festival there was a wide selection of food available, from Earnest Ice Cream‘s delicious scoops, to the tasty salmon sandwich at Street Meet, the smokey crusted pizza at Urban Wood Fired Pizza and the sweet smoothies at Jamaican Mi Juicy. After a long day of swinging and shaking to the sometimes upbeat and light-hearted and the sometimes thought-provoking tunes, the “food pit” was a nice place to satiate one’s hunger. And to satiate one’s thirst? The beer garden which was in close proximity to the action and kept the thirsty music-lovers happy with Tinhorn Creek’s wines and Big Rock’s brews. And the fun didn’t stop at the music, there were also frisbees being thrown, hula hoops being spun and face paint being applied, all of which were a refreshing sight to see from the norm of rapidly moving fingers texting and the hustle and bustle of business suits on weekday mornings. The weekend was a mini vacation as guests spent three days lounging in the sun with the beach beside them as they tuned out from thoughts of work and tuned in to thoughts of rhythm, beats, and lyrics. Now in it’s 35th year, the festival has grown considerably to become a much anticipated festival, able to bring in 10,000 to 12,000 people in one single day. None of this would be possible if it weren’t for the 1,500 volunteers from all over the world that come out for the Vancouver Folk Music Festival with the youngest only 14 and the oldest 76. At the end of the festival after a cannon showering the crowd with maple leafs and the final performances, many of the volunteers and organizers congregated on the stage for the finale. Together with Dan Mangan, Veda Hille and Geoff Berner they sang a variation of Woody Guthrie’s “This Land is Your Land“, in celebration of his centenary and, in a sense, this beautiful place many of us call home – Vancouver. Stay tuned for interviews with Ani DiFranco, Dan Mangan, Roy Forbes and Wake Owl, as well as more photos from the event on Flickr.